In 2012 only, according to Symantec group, cybercrime amounts to a cost to consumers of $110 billion, affecting almost 1.5 million people per day in their business. 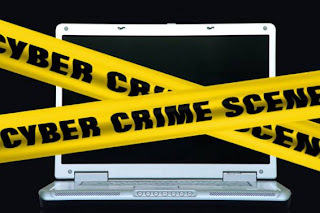 As people spend more time online, so do criminals. Even bank accounts are being compromised and cellphones hacked. More and more cybercriminals operate internationally, often using substantial infrastructure. Indeed, last year, the McAfee company and the online banking security company Guardian Analytics uncovered a fraud involving the use of 60 servers to make thousands of attempts to steal from the bank accounts. The scam actually started in Italy and spread to accounts in Germany, Latin America and the US. It bypassed security measures such as the “two-factor authentication” keypad used for online banking and attempts were made to steal at least $60m. In total, almost $2bn could have been at risk in business. Cybercriminals are not only motivated by money, some practice it as a challenge, trying to see how they can sneak into institutions or companies high secured IT systems. And hackers are also getting cleverer. Criminals do use the same malware as in the past, but they are getting much smarter in what code they are injecting into web pages. And cybercriminals are now turning their attention to mobile crime business, and especially to the Android mobile operating system as it represents 50% of the smartphone market. The rise of mobile banking and payment with smartphones means cybercrime on these devices will become more prevalent this year, analysts predict. Indeed, Android mobile systems have suffered a higher rate of malware attacks than PCs in Australia and the US last year, according to Sophos. Malware often takes the form of an app or a device to send text messages to a premium-rate number. Even usually vigilant technology users are sometimes snared: nearly half of all mobile users are not even aware that security software exists on smartphones. The spread of high-speed 3G and 4G mobile networks does also increase the risk. This creates wide opportunities for airborne cybercrime. Authorities are trying to fight back though. Recently Europol busted a Europe-wide scam run by Russians that involved installing a ransomware on PCs to lock them in exchange of a fake police warning, demanding €100 from users to fix the problem. Europol estimates about 3% of victims paid up. With tens of thousands of victims, that means a healthy profit for the criminals. It sounds quite amazing that three countries – Russia, China and the US being the biggest source – accounted for more than half the world’s hacks last year, says NCC Group, a security company. Regulators are striving to put pressure on companies being lax with consumer data. In the UK, the government is getting tough with firms to tighten security and can give heavy fines if they fail to keep customer data safe. To avoid having your computer or mobile device at risk, go for a VPN now. You will make sure your online surfing, online banking activity and all downloads stay safe. Simply select a VPN server in one of 12 countries – French VPN, UK, US, Canada, Belgium, Switzerland, Germany, Netherlands, Luxembourg, Czech Republic, Russia or Ukraine, and protect all your internet activities with a secure virtual VPN tunnel with a military-strong encryption. Your IP address will be automatically replaced with an anonymous IP address of the country you have selected. The VPN installation is simple and does not take longer than 2 minutes. So buy VPN plan now or test our VPN access with your VPN Free Trial.